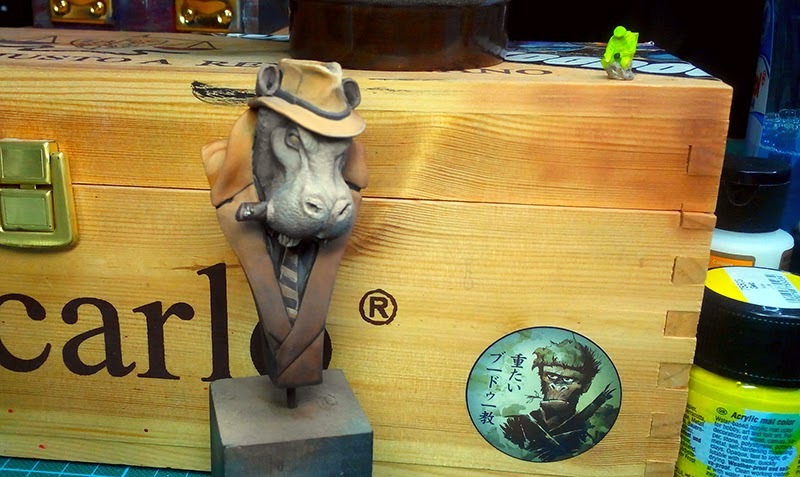 this is a study in Sepia for CMON Contest "All the Shades of Grey". First I thought about painting all of it grey in grey, but when I read the rules I was fascinated to give a Sepia-Study a try and it was fun. 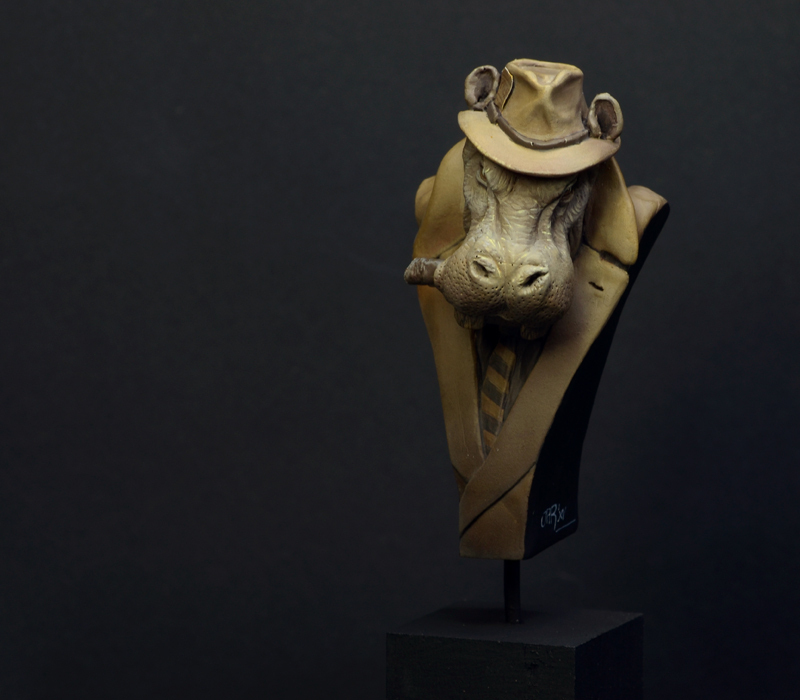 Hope you like this bust. 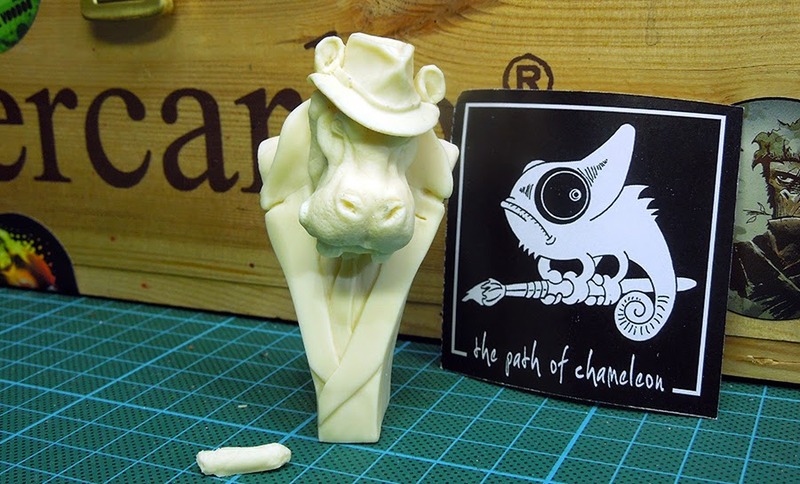 I got it from a spanish sculptor - The Path of Chameleon - great piece with a lot of character! 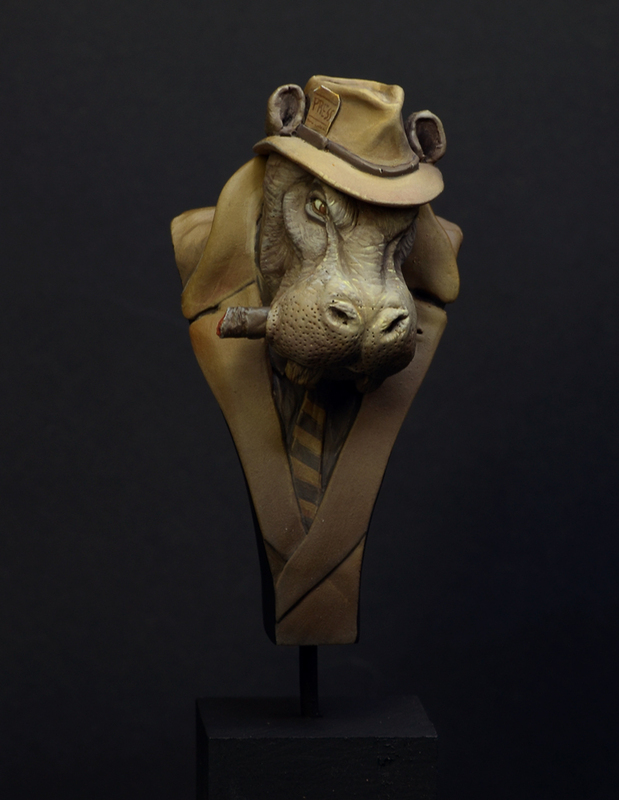 This character reminds me of the Comic books "Black Sad", but recently learned that there is also another comic which this gangsta hippo could be related to, click here. And well, yes... I have some WIP photos too of this fella- all in different tones as they were done with the mobile camera in different daytimes - whatever - here they are. 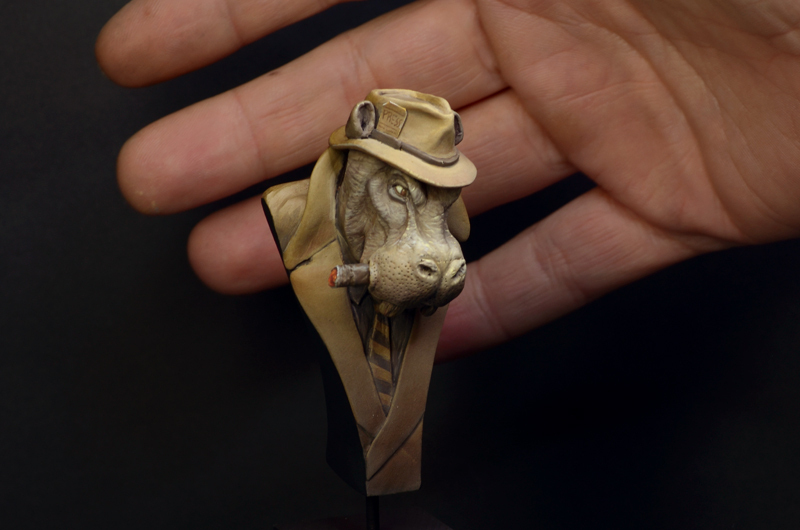 The model arrives in three parts in resin: Body, Hat and cigar. Oh, I really like this one. Mjam mjam... Never seen this bust before. The sepia effect is performed very well, even though I haven't seen it at first glance, because the light brown could be a real colour for hat and cloak too. Really great paint. Maybe it would be worth photographing in front of a sepia background, deliver the scratches and semblance of the old photographic paper.:-). But it's really beautiful stuff:-). 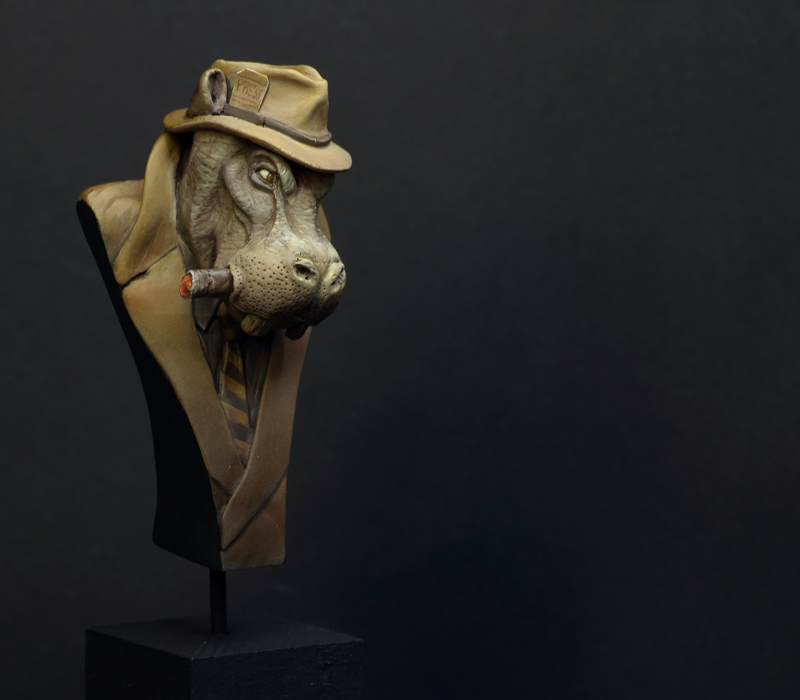 Roman you've definately been inspired by "Blacksad" ;) What a great piece of art. 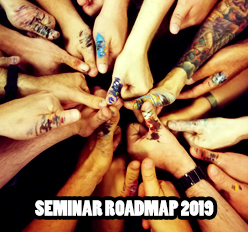 Nya, this story's gonna be huge - HUGE I tells ya! Ah such a joy to see, I love your brush strokes. Spot on Hip for me, maybe an Obadiah or Gabbatha is on the way as well. Really beautiful job, the face, eyes and texture on the skin while keeping to the sepia study is excellent. 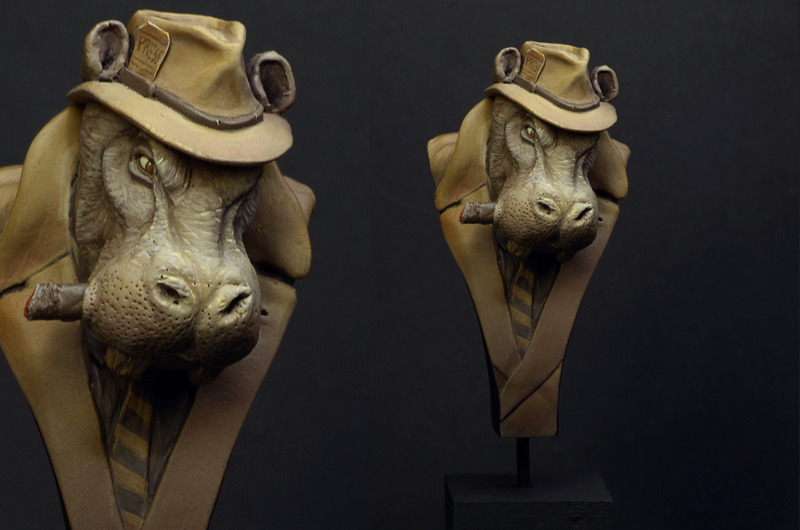 I am really happy that you like the Hippo that much ... it is a really cool sculpt and it paints by itself somehow. Sepia study seemed a success by your comments, eh? Thank you! Great Paint. 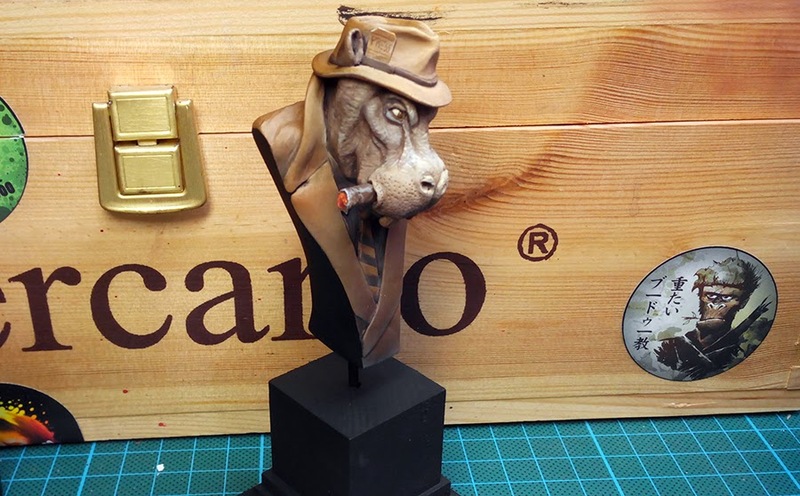 Do you know if Blacksad is published in english/german version?